This thoroughly revised edition includes updated essays on cultural themes and literary analysis, and its new essays analyze the full scope of the seven-book series as both pop cultural phenomenon and as a set of literary texts. 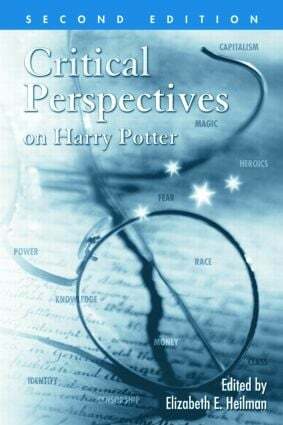 Critical Perspectives on Harry Potter, Second Edition draws on a wider range of intellectual traditions to explore the texts, including moral-theological analysis, psychoanalytic perspectives, and philosophy of technology. The Harry Potter novels engage the social, cultural, and psychological preoccupations of our times, and Critical Perspectives on Harry Potter, Second Edition examines these worlds of consciousness and culture, ultimately revealing how modern anxieties and fixations are reflected in these powerful texts. Controversial Content: Is Harry Potter Harmful to Children? Is Desire Beneficial or Harmful in the Harry Potter Series? Pottermania: Good, Clean Fun or Cultural Hegemony?